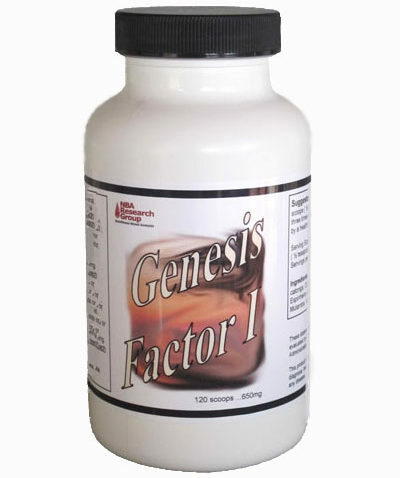 Genesis Factor is a super blend of rainforest plants & herbs that aid in a variety of physical anomalies, mainly bacterial, viral, parasitic, pain reliver, free radical inhibitor, & detoxifier. Also, discourages tumor growth. Listed below are the herbal ingredients and their reported health benefits. * fights cancer cells, slows tumor growth. * fights bacteria, viruses, & parasites. * lowers heart rate, dilates blood vessels, reduces spasms, reduces fever. * for high blood pressure. * for depression, stress, & nervous disorders. * fights cancer cells, slows tumor growth, protects stomach, & inhibits ulcer formation. * cleanses bowel, & fights cancer cells. * fights bacteria, fights cancer cells, fights viruses, kills germs, & enhances immunity. * reduces acid, fights ulcers, aids in digestion, inhibits tumors, detoxifies, & fights cancer cells. * fights bacteria, fights viruses, fights cancer cells, inhibits tumors, & stimulates digestion. * Used in traditional Chinese medicine to treat a number of health problems, including fatigue, impotence and joint pain. * Sea cucumber contains high levels of chondroitin sulfate, a major component of cartilage. Contains natural anti-inflammatory compounds. *Sea cucumber is rich with niacin, calcium, ta-urine, lysine and other elements to restore brain fatigue and improve memory. * Sea cucumbers provide vitamin A, B-1(thiamine), B-2(riboflavin), and B-3(niacin), and vitamin C as well as the minerals Calcium, Iron, Magnesium, and Zinc. compounds called triterpenoids have shown some promise in laboratory studies in slowing cancer cell growth and in stopping the formation of new blood vessels that tumors need to grow. In another early laboratory study, a fatty acid (12-MTA) that came from a sea cucumber was found to slow the growth of prostate cancer cells. Warning: If you are taking blood thinning medications, or have allergies to ragweed, chrysanthemums, marigolds or daisies, consult your health care practitioner before taking this product.